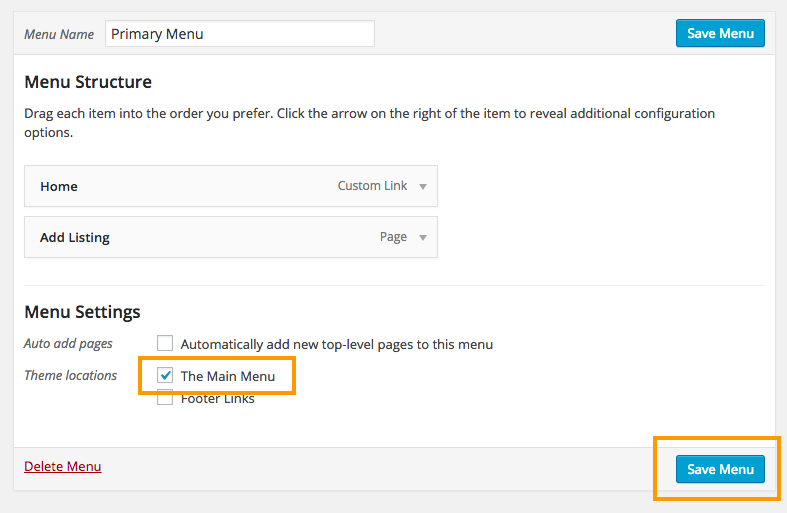 Enter your preferred menu name in the Menu Name text field, then click Create Menu button. Check the menu items you need and then click Add to Menu button. If you are planning to display your menu, then make sure you check at least one of the Theme Locations. Sometimes you might wanna display your current menu on a widget. In that case you don’t have to check the theme locations. Finally save your menu by clicking Save Menu button.